50,000 Volts!! Red, rectangular signs warning motorists of the overhead voltage are posted at all of the BM&LP's public crossings between Page and Black Mesa. 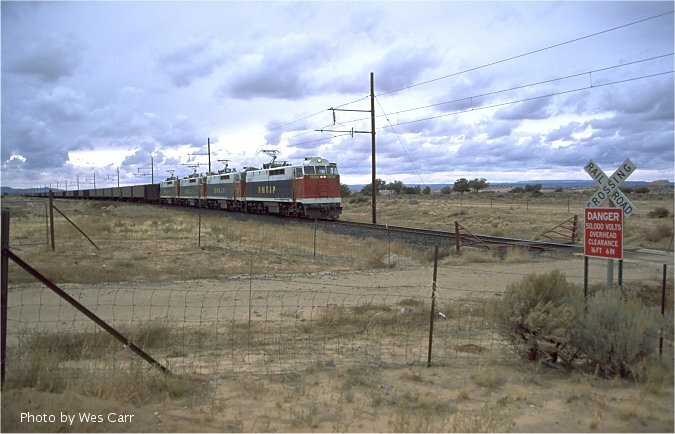 An eastbound approaches a crossing near the Black Mesa mine on October 27, 2000.